An electric bike (better known as e-bike) is a regular bicycle with the addition of an electric motor to assist cycling. It is a hybrid mean of transport because part of the power comes from the rider and part of it from the motor. This applies up to around 15,5mph (25 km/h) which is the current legal limit for electric assistance. Once you are pedaling beyond that speed the motor will not assist you. You might also hear e-bikes called pedelecs (pedal electric cycle). This is another name for e-bikes where the power is activated on pedaling instead of by throttle. The vast majority of today’s e-bikes are pedelecs – so clearly they are not mopeds or motorbikes as you must pedal to activate the motor (added to which, e-bike motors are much less powerful than moped motors). E-bikes are capable of doing just about everything a regular bike can do and more. Even e-bike skeptics often come back with a smile on their faces and appreciative words once they have ride an electric bicycle. 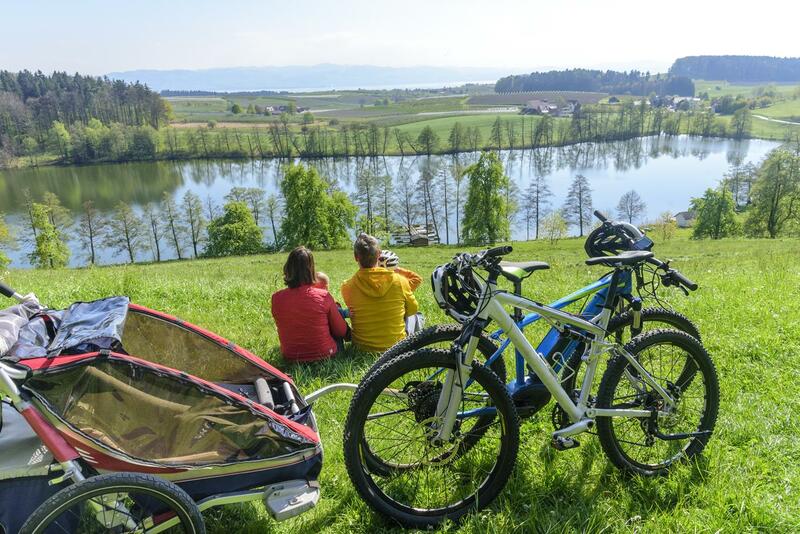 E-bikes are are also in a very privileged position legally speaking, as under the relevant European law they are in exactly the same legal position as non-powered bikes, so they combine the advantages of the bikes with those of the middle that still has a motor. 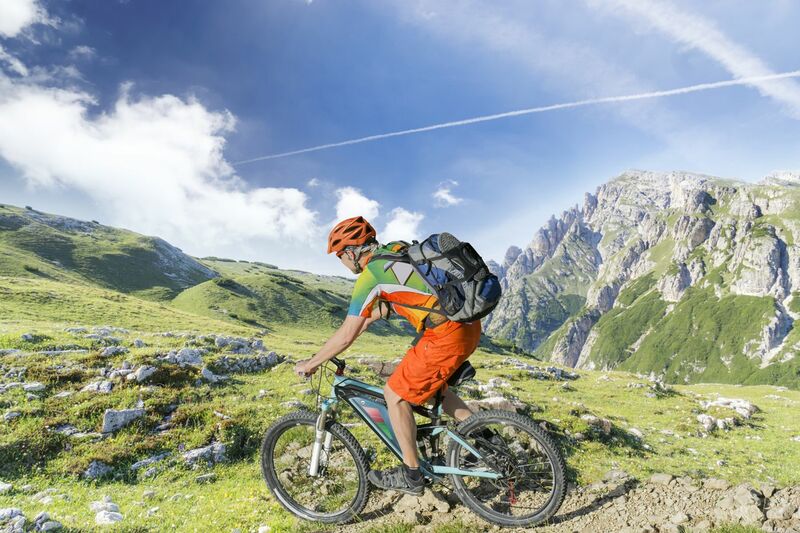 As well as the obvious benefits of a motor – helping you get up the hills more easily and with less sweat – there are several other benefits that might not at first occur to you. If you have a recurrent injury or illness e-bikes may help you keep cycling through it, rather than having to give up pedaling completely. E-bikes fill the gap between journeys short enough for walking or non-powered cycling and longer trips where a train or car may be necessary. You could get to and from work faster on an e-bike and convert commuting into leisure time. They can be a viable replacement for a second car with all the environmental, financial and other benefits that this entails. E-bike riders often say they feel safer in traffic than when riding a non-powered bike, acceleration and higher uphill speed allow more dangerous situations to be removed from possible danger situations. You can transport heavier loads more easily than with a normal bike, so you can also use the bike for shopping and to go to school with a backpack full of books. You still get exercise – it’s not cheating! Many studies have shown that e-bikers get plenty of very beneficial aerobic exercise. The vast majority of e-bikes have power level settings on the handlebar controls that let you dial down the power if you want more exercise, or turn it up if in need of more assistance. Some even have an on-board computer with a display which shows your heart rate and calories burned, connecting via Bluetooth to an heart rate monitor. There are downsides compared to regular bikes; extra weight is the most obvious (although newer systems just emerging promise lighter e-bikes in the future). A 20 kg weight e-bike (including battery) is considered a fairly light e-bike. Modern motors are generally very reliable but today’s rechargeable batteries should really be regarded as consumables if you plan to ride your e-bike a lot and keep it many years. They inevitably degrade slightly with time and more so with heavy use (and much more so with abuse), with a likely replacement cost of several hundred euro. A good quality e-bike is certainly an important investment but can be easily amortized if the bike is used to its maximum potential. How has e-bike technology improved over recent years? Having just given a battery warning it has to be said that batteries, once the real Achilles heel of e-bikes, are now pretty much ‘fit and forget’ for a good number of years on good quality machines, as long as you look after them with a modicum of care. It’s just that, ultimately, they will need replacing. By contrast a good motor may well outlast you. The other big development of recent years has been something of a motor power arms race between the major motor manufacturers such as Bosch, Brose, Shimano and Yamaha. 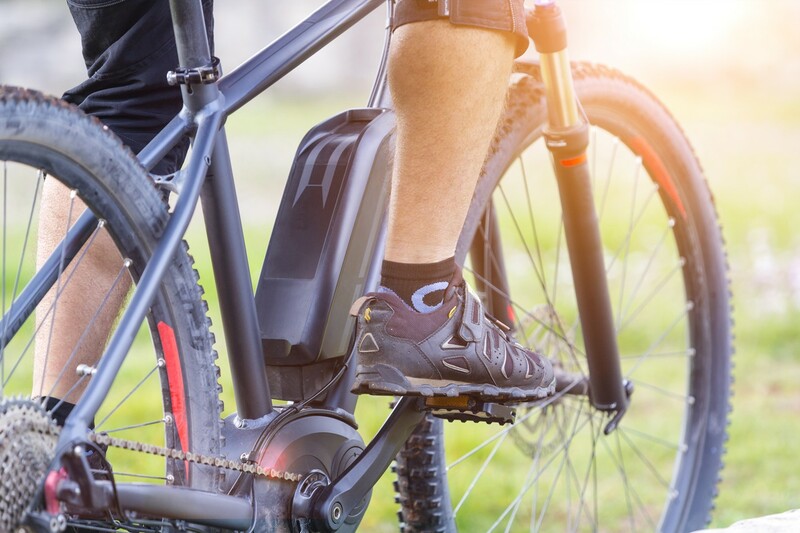 Motors on e-bikes are legally limited to a maximum of 250 watts “continuous power”. A lowest power setting can add around 40% of your pedal effort whilst on the most powerful motors top settings more than triple your own power input at the pedals! However, don’t run away with the idea that today’s motors come anywhere close to those found on even fairly modest mopeds in terms of horsepower. Power delivery on the best quality electric bikes, usually delivered via a clever device called a torque sensor is smooth and seamless. 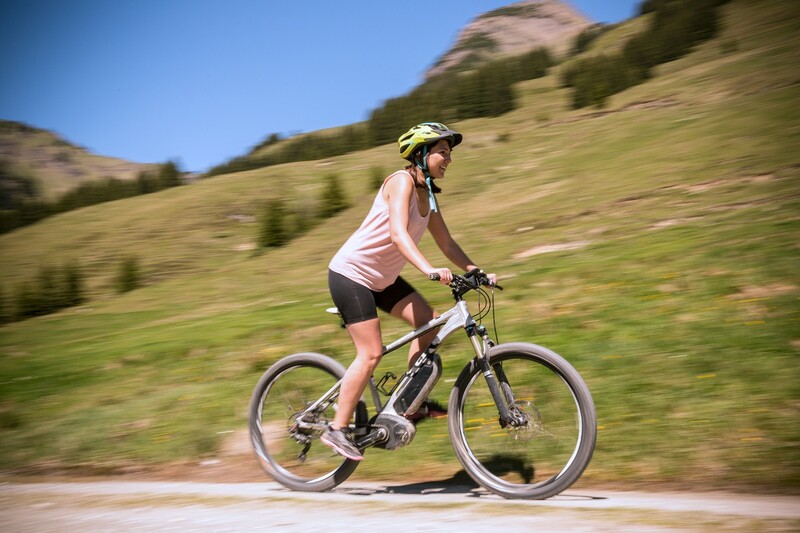 Modern e-bike motor power is felt most in terms of quick acceleration up to the legal assisted limit of 15.5mph. 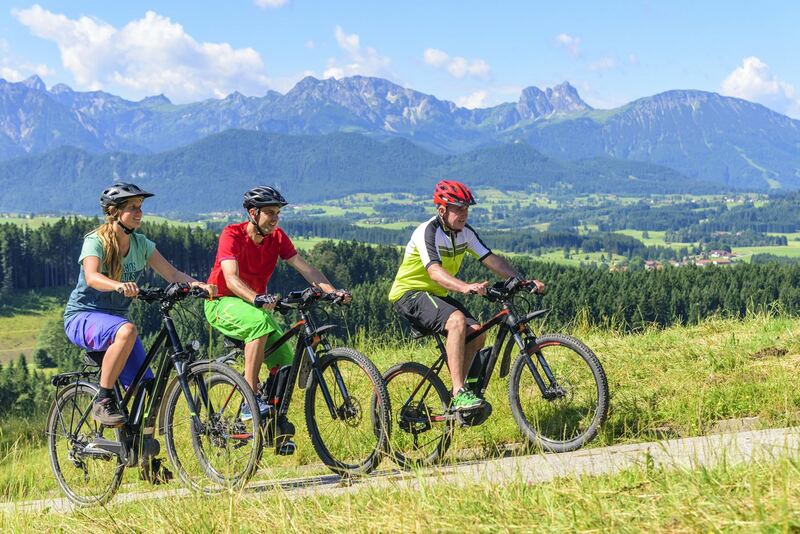 Hybrids e-bikes: probably the most popular class as they are suitable for a variety of uses including commuting, leisure rides and daily chores. Of course, there is a huge variety of commuting e-bikes as just about all the quality e-bike makers have city and commuting versions. Cargo bikes: an ideal use for extra power allowing you to move what couldn’t be moved easily by bike otherwise. Leading brands include Riese & Muller and Urban Arrow. Folding e-bikes: they are very useful especially for those who travel in a mixed way (bike type+metro) but on the market there are not many brands that produce truly reliable products. Speed-pedelecs: are capable of 45kmh / 28mph assisted speeds but as they not, legally speaking, e-bikes but mopeds. In 2017, Italy’s bicycle sales grew by 1%, reaching 1,688,000 units, a slight increase sustained by e-bike deliveries, which recorded + 19% compared to 2016, reaching 148,000 units (in 2016 they were 124.400). A similar trend is found in Europe where traditional bikes are down by 8-9% while e-bikes grow with double-digit percentages. Sales are mainly driven by e-Mtb: around 65% of deliveries, but for the future we expect excellent performance from the e-Road, pedal-assisted racing bikes. The other electrical indicators are also positive. Imports of e-bikes have increased by 21% (-1% for normal bikes), while exports are booming: from 8,000 to 19,000 (+ 237.5%). The national production data is excellent, passing from 23,600 copies in 2016 to 35,000 last year, with an increase of 48%. So next to the Italian production tradition in the bicycle it is affirmed the ability of the sector to renew itself by creating an innovative supply chain made of advanced projects in the construction of engines.